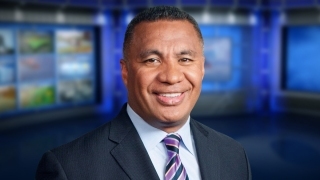 NBC10 News anchor Vai Sikahema is already a hero to plenty of Philly sports fans (take that goalpost). And, he is one of the all-time greats in the Nintendo classic Tecmo Super Bowl. But soon, he could also be a hall of famer. The Polynesian Football Hall of Fame recently named Vai, a two-time Pro Bowler in an eight year NFL career that wrapped up with the Eagles, a finalist for enshrinement into the Hawaii-based hall. Vai, who is proud of his Tongan ancestry, joins 24 other football greats with Polynesian ancestry on the list of nominees. Vai, a Brigham Young University alum, is also quite accomplished himself going on to a successful career as a sportscaster then news anchor, introducing kids without parents to potential adoptive parents through "Wednesday's Child" segments and also serving a leader in the Mormon community. Will Vai make the Hall? The class of 2015 will be announced next month.